Extra money for the NHS risks going unspent or being used on agency workers because of staff shortages, a report warns. 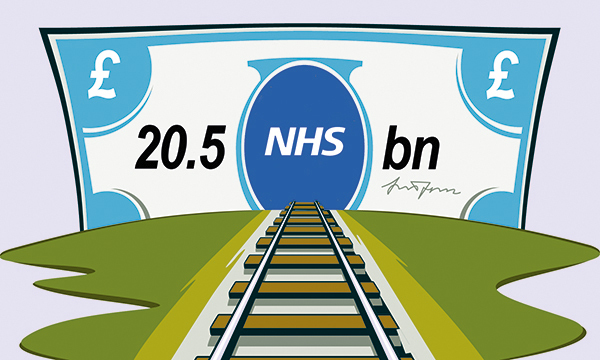 The National Audit Office (NAO) cautions that some of the additional £20.5 billion a year in NHS funding promised by the government in 2018 may not be used ‘optimally’ – or at all – without the necessary staff. NHS trusts also told the NAO that even with the extra funding pledged for the health service until 2023, it is unlikely they will meet their performance standards because of difficulties recruiting staff. In September 2018, nurse vacancies at trusts in England stood at 41,000 (11.6% vacancy rate). Rates varied between regions, with a 14.6% nurse vacancy rate in London, compared with 9.3% in the north of England. RELATED: NHS Long Term Plan is big on ambition, so why is it short of nurses’ support? The report on the financial sustainability of the NHS also warns that the long-term funding settlement does not cover key areas in health spending. For example, the average 3.4% uplift in funding applies to the budget for NHS England and not the Department of Health and Social Care’s entire budget, which covers areas such as nurse training. RCN England director Patricia Marquis said: ‘This report confirms our greatest fear – that the impressive ambition of the Long Term Plan could be derailed, simply because we do not have the nursing staff to deliver it. Ms Marquis cited the examples of specialist cancer units closing because they were unable to recruit nurses and mental health units struggling to meet demand. She reiterated the RCN's call for an immediate £1 billion investment in nurse education as part of a comprehensive workforce plan to meet patient need and ensure safe staffing. This article is not available as part of an institutional subscription. Why is this? You can register for free access.